Talks likely to gain momentum when the Chairman of the board of the Eurasian Economic Commission, Viktor Khristenko visits Delhi this month. India and Russia are likely to hold talks on a Comprehensive Economic Cooperation Agreement (CECA) with the Customs Union of Russia, Belarus and Kazakhstan, RIA Novosti said, citing a senior Indian External Affairs Ministry official. The idea of a CECA between India and the Customs Union first made headlines in December 2011 after talks were held in Moscow between then-President Dmitry Medvedev and Indian Prime Minister Manmohan Singh. “The two sides decided to jointly study the possibility of a CECA between India and the Belarus-Kazakhstan-Russia Custom Union,” the joint statement after the talks said. Sources close to the Indian Government say that talks have been considerably slow since then. While Russia, Kazakhstan and Belarus wanted greater access for their products and a preferential system of non-tariff trade barriers, India has been demanding better access for Indian professionals in the common area and simplified work permits, the source told RIR on the condition of anonymity. Last week, the first round of talks on signing a free trade zone agreement between the Customs Union and Vietnam were held in Hanoi. 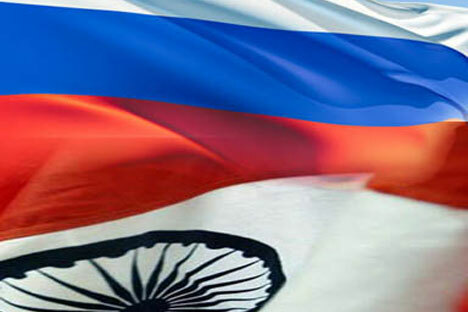 Bilateral trade between Russia and India, which has been under potential since the collapse of the Soviet Union grew by an impressive 32.5 percent in 2012 to $11 billion.